Supermarionation is a technique developed in the 1960s where marionette heads had Solenoid motors that moved the lower lip to give the impression of speaking. The technique was first used in the 1960s British series Four Feather Falls, produced by Gerry Anderson. A western with fantasy elements, FFF was soon followed by the sci-fi action series Supercar, which was syndicated around the world. Anderson wasn't the only producer who utilized articulated marionettes, but his Supermarionation shows were the most popular, including Thunderbirds and Captain Scarlet and the Mysterons. As the technique simply cannot portray walking convincingly, most of the action is futuristic-vehicles-oriented to compensate. In fact, Anderson's company proved so skilled in model shots of vehicles that it could easily create spectacular scenes in a day that other companies tried for weeks to create before delegating to these experts. From Stingray onwards, these were produced in colour despite this not being really available in the UK at the time — this was to make things easier for foreign sale. 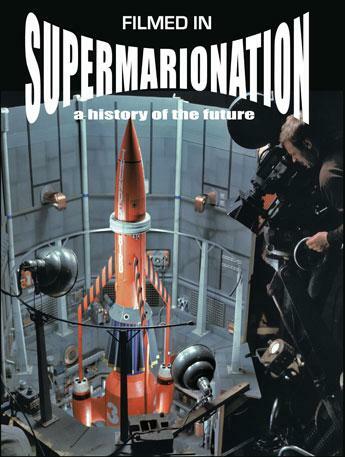 After 1969, Supermarionation disappeared, but not completely. There were many imitators, each one with different kinds of puppetry, many not even using marionettes, including Gerry himself. The semi-realistic worlds presented in Supermarionation often have a lot of buildings, vehicles and other Stuff Blowing Up in the form of models. This is as good a reason to watch it as any. Though it's an understandable mistake, it's not the prequel to Super Mario World. It isn't this either. Dire Straits' video for "Calling Elvis", which is a Homage to Thunderbirds. Interster: a South-African imitation of the series of Gerry Anderson made when they could not air Thunderbirds in their country. Also from South Africa, children's show Die Liewe Heksie, dealing with the adventures of a Cute Witch in an idyllic fairyland, was filmed with marionettes. Many of the camera and animation tricks and production techniques are instantly recognisable as being copied from Supermarionation productions. Team America: World Police: a tribute to Thunderbirds made in "Supercrappymation", which includes a lot of Affectionate Parody of the silliness of marionettes. Ever wonder why there were never any martial arts in Captain Scarlet? Trey Parker and Matt Stone were apparently inspired to make it when they found out the Thunderbirds movie would not be using puppets and were disappointed. Many Thunderbirds fans consider it a rather better film than the officially licensed one as well. Some accounts suggest Gerry Anderson felt the same. In the same vein, the British WW2 satire Jackboots on Whitehall. Star Fleet: What happens when the Japanese decide to make what would normally be a cel-animated show and do it this way. The 200th episode of Stargate SG-1 features a segment done in this style, thanks to the Team America puppeteers. Space Patrol: early 1960s UK series (not to be confused with the 1950s US series) produced by a former Anderson colleague. Thomas the Tank Engine, before the switch to CGI, used simplistic yet highly-advanced electric model trains that could let off steam and move their eyes. It helped that the series was overseen by Thunderbirds veteran David Mitton. Tugs, which David Mitton co-created, was essentially a Darker and Edgier Thomas... WITH BOATS! As it was filmed in a water tank, the models were not as sophisticated. Action League Now had "Chuckimation", referring to how the action figures would be thrown around constantly (and receiving a ton of Amusing Injuries).